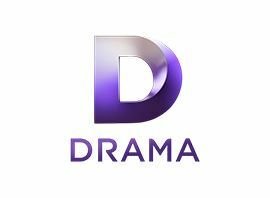 Drama is a digital television channel broadcasting drama (and, to a lesser extent, comedy) programming in the United Kingdom and Ireland as part of the UKTV network of channels. The channel launched on 8 July 2013, replacing Blighty. On Freeview, the channel was placed on channel 20, previously occupied by Gold. On Sky, the channel initially launched on channel 291, in the overspill area of the Entertainment section and moved to channel 166 on 24 July after purchasing the slot used by PBS America. The channel launched on Virgin Media on 14 August on channel 190. In September 2014, UKTV blamed the channel for their 7% profits fall.